Why Are Jefferson Nickels Ignored? It seems like everywhere I turn, coin collectors are talking about Morgan dollars, pre-1933 gold coins, and Lincoln cents. But Jefferson nickels? Why isn't the hobby abuzz over the nickel bearing the face of the third United States president? Jefferson nickels are certainly popular enough in commerce. Hundreds of millions of Jefferson nickels are made every year, and they're usually spent alongside dimes and quarters for everything from candy to parking tolls. 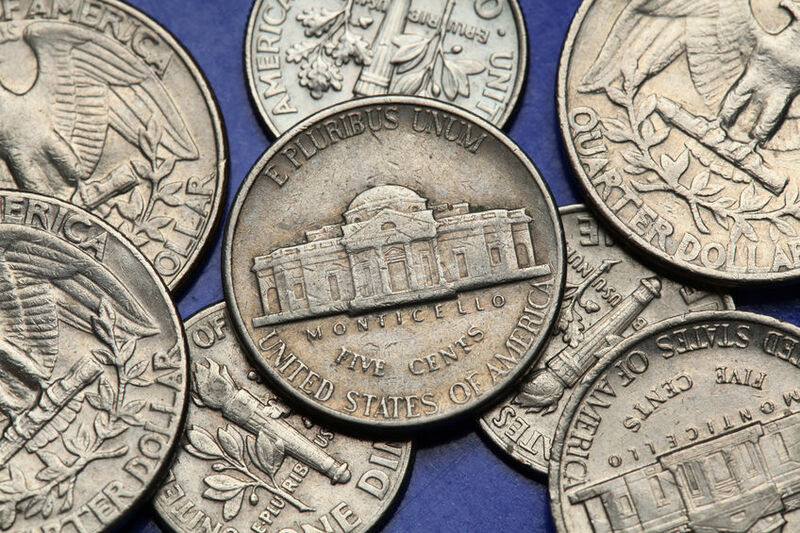 If the one-cent denomination is abolished as many predict will happen in the coming years, the nickel becomes the lowest-denomination circulating coin and will likely play an even more prominent role in commerce than it does today. So why aren't more coin hobbyists going gaga over Jefferson nickels? Many will say the numismatic stagnancy in the Jefferson nickel series is due to its lack of rare dates and scarce exciting news about the coins. Yet, it's not as if Jefferson nickels are absent of interesting storylines. The 1971 no-S proof Jefferson nickel regularly sells for more than $1,000 and the 2004-05 Westward Journey nickels spawned six new obverse and reverse designs. Alas, this doesn't seem to be enough to get coin collectors talking. And 2009 Jefferson nickels, which were produced in small numbers during the Great Recession, are still difficult to find in circulation. It seems when older collectors wax nostalgia about yesteryear, they pine for the days of yore when they could still find 1909-S VDB Lincoln pennies, 1916-D Mercury dimes, and 1916 Standing Liberty quarters in circulation. Those were the days, back when you could walk into virtually any bank and buy rare Carson City Morgan silver dollars for only one dollar each. It doesn't seem like many of the old-time collectors get very excited about circulation finds that include any 1939-D or 1950-D Jefferson nickels – the two regular-issue series key dates that generally sell for less than $25 each. What gives? Even the series key dates are considerably common and, in fact, still turn up in circulation every once in a blue moon. 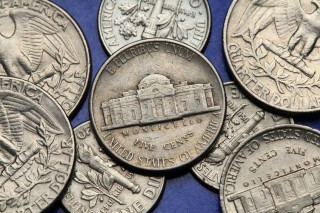 So, is there anything about Jefferson nickels that really excites coin collectors? There are thousands of people who enjoy collecting Jefferson nickels, and many of them concentrate on the more notable issues of the series. In addition to the 1939-D, 1950-S, 1971 no-S, and Westward Journey nickels, there are the 35% silver wartime Jefferson nickels struck from 1942 through 1945, which are distinguished by the large mintmarks over the dome of Monticello on the reverse of these coins. There are also the various minor varieties that keep die specialists and Jefferson nickel aficionados busy. If that's not enough, there is the never-ending pursuit among Jefferson nickel enthusiasts to find Full Steps issues – those that show clear delineation of the five (or six) steps leading up to the front door of Monticello on the reverse. Better yet? It's actually possible – reasonably possible – to build an entire set of regular-issue Jefferson nickels from circulation. It's going to take months, even years of change checking and roll searching to do it, not to mention tons of luck, but you actually can finish the Jefferson nickel series for face value. Imagine that! Maybe Jefferson nickels aren't a so-called "sleeper" series as some hobby analysts declare about these coins. Rather, they're a dynamic series spanning from 1938 to the current day, with hundreds of distinct business-strike and proof issues and relatively affordable key dates. Perhaps, they're actually one of the hobby's best-kept secrets. Great post Josh. I say a lot, there's no accounting for taste, whatever series a collector is into, great. You make a nice point about Jeffersons being an attainable goal for any collector, to complete the set. This is something that appealed to me as a kid, slowly filling my Whitman folders. I really appreciate your great feedback on this post. As you know, Jefferson nickels have been regarded as a "sleeper" series for at least 25 years, which is hard to understand when these modern coins really have so much to offer collectors. And, yes, enough searching -- especially roll searching -- can actually still provide a complete date-and-mintmark set of business-strike coins for face value! I think all of us collectors who started our journey in this hobby with those wonderful Whitman folders will always have that desire to fill those blue cardboard panels, no matter how "advanced" we become!